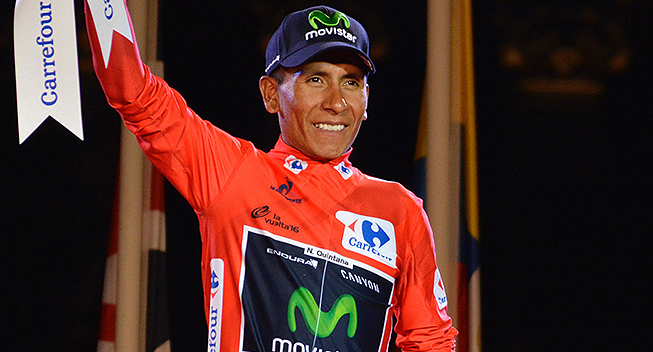 "There are chances that Nairo will do the Giro and the Tour, but the Tour-Vuelta option is also still on the table. The programs are not decided yet and I can not say at this time which option is the most likely." On December 24, it looked like the participation of Nairo Quintana in the 2017 Giro d'Italia was certain as part of a Giro-Tour double. However, the decision is now called into question by Eusebio Unzue, general manager of Movistar. Unzue tells La Gazzetta dello Sport that for the time being nothing has been decided and that the Giro-our option is just as likely as the Tour-Vuelta double. "My program is already defined. We will go to the Giro to try to do our best but with the goal to come out in good shape for the Tour. " It was a categorical affirmation that confirmed a rumor launched by Eusebio Unzue himself. Today, however, Unzue is less certain than his rider. "I do not know how that information ended up in the media," Unzue told La Gazzetta dello Sport. "There are chances that Nairo will do the Giro and the Tour, but the Tour-Vuelta option is also still on the table. The programs are not decided yet and I can not say at this time which option is the most likely."